Hang out in style. 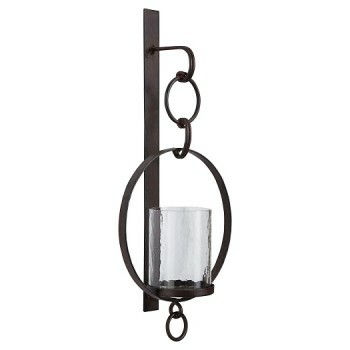 Bring warmth and flair to an overlooked space with this wall sconce and candle holder. Dark bronze-tone metal and clear glass make a striking combination. Aligned or staggered, they’re even more beautiful when paired.